Item # 307491 Stash Points: 895 (?) This is the number of points you get in The Zumiez Stash for purchasing this item. Stash points are redeemable for exclusive rewards only available to Zumiez Stash members. To redeem your points check out the rewards catalog on thestash.zumiez.com. 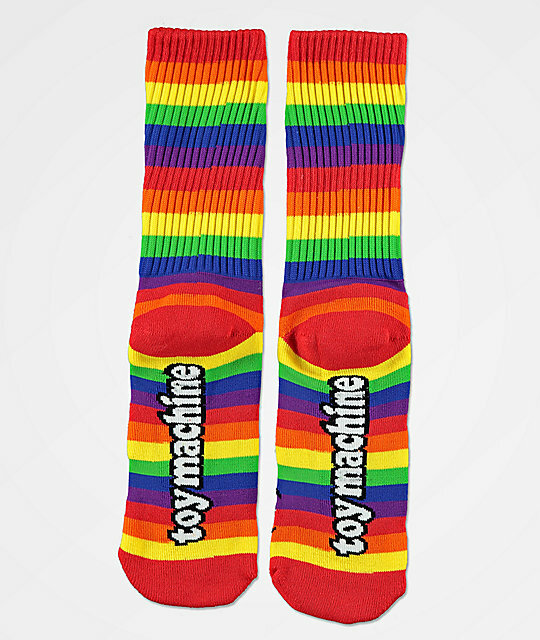 Outfit your feet in loud style in the Toy Machine Sect Eye Rainbow Crew Socks. These socks feature an allover rainbow striped construction and are highlighted by a sewn in cyclops graphic at the top of each sock while the arch features a white Toy Machine text graphic. 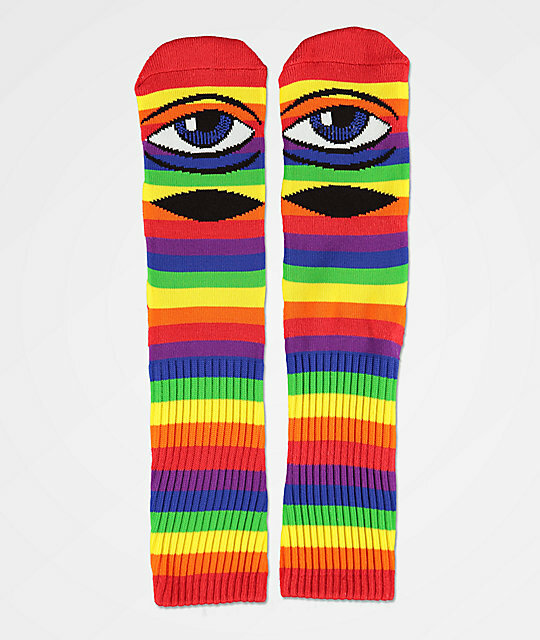 Sect Eye Rainbow Crew Socks from Toy Machine.